A great many people experience anxiety in relation to undergoing dental work or to visiting the dentist at all, a fear known as dental phobia. Unfortunately, such fear keeps too many individuals from getting regular dental care, compromising not only their dental health and appearance, but often their overall health as well. In almost every case of dental phobia, sedation dentistry, in which the patient’s anxiety is totally relieved by the use of medication, is the solution. During sedation dentistry, varying degrees of sedation may be used, depending on the needs of the patient and the type of procedure being performed. The point of sedation dentistry is to provide peace of mind to the patient undergoing treatment. In most cases, it does not involve anesthesia, but simply puts the patient into a very relaxed state. Because in most cases the patient is still awake to a degree, a local anesthetic must still be employed to deaden any anticipated pain. In anxious patients, sedation is administered prior to the anesthetic so the patient won’t have heightened anxiety about the injection. Sedation for dental patients may be administered in a number of ways, depending on the procedure being performed and on the physical and emotional needs of the patient. Oral sedation is the most common type used in sedation dentistry. It ranges from minimal to moderate and is administered in pill form. When only minimal sedation is required, the patient is usually given a Halcion tablet, a medication similar to Valium, which takes full effect in approximately one hour. Once the pill takes effect, the patient becomes drowsy, but is still awake. When a slightly greater degree of sedation is required, the patient is administered a somewhat larger, or moderate, dose of the medication. With the moderate dose of this medication, most patients remain fully asleep, although they can be awakened with minimal effort. Children are sometimes given a mild dose of oral medication which is carefully administered according to the child’s age and weight. One way of administering sedation is by having the patient breath in nitrous oxide (“laughing gas”) through a mask placed over the nose. Although the nitrous oxide will definitely put the patient into a relaxed state, the gas wears off quickly. For this reason, adult patients who have been treated with nitrous oxide are able to drive themselves home from the procedure. Nitrous oxide is sometimes used as a safe alternative on children who are phobic or uncooperative about dental treatment. Patients under minimal sedation are groggy and slur their speech, but can be easily roused. Because this type of moderate sedation is administered intravenously, it works almost immediately. It also has the advantage that the dentist can adjust the dosage as needed during the procedure. Patients under deep sedation or general anesthesia are almost or completely unconscious during the entire dental procedure. They cannot be awakened until the effects of the anesthesia have worn off. 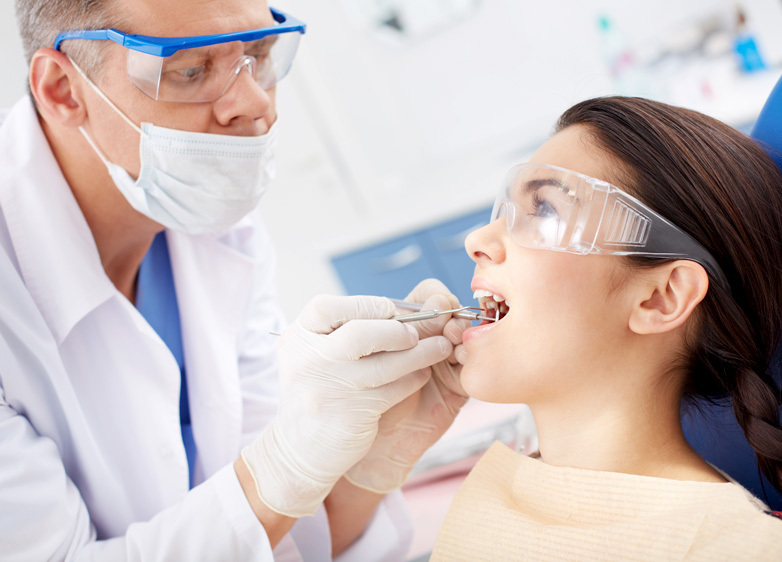 Sedation dentistry is very helpful for patients who experience discomfort and anxiety about visiting the dentist. Whichever type of sedation they receive enables them to feel comfortable in the dentist’s chair, even when undergoing lengthy or complicated procedures. As a matter of fact, patients under sedation frequently experience the sensation that a prolonged procedure has only last a minute or two. Sedation dentistry also has the advantage of allowing the dentist to perform a great deal of work during only a few sessions because the patient is comfortably at rest. © 2019 Blue Water Dental of St. Johns. All Rights Reserved.